To solve the extracting problem caused by the sealing structure design of a new-type swing chamber artillery, the sealing system was analyzed and the sealing reliability standard was established. Based on the multi-disciplinary design optimization platform and the large-scale nonlinear FEA software ABAQUS, with the residual contact force as optimized objective and the standard as constraint, the optimized simulation has been conducted to the sealing structure. 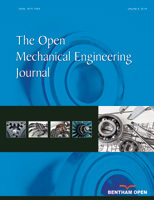 The optimization results show that in case the sealing time changed not so much, 25.76% of the extracting force would be reduced. Experiments show that the success of the sealing systems provides a way for solving engineering-related problems.